Lydia Ann Black Cannon (1888 – 1973) is the Milton-born benefactor who bought the Milton M. P. Church (later Grace Methodist Church) building after it had been all but abandoned, and gave it to the Milton Historical Society in 1971. The current building, renovated in 2006 and open to the public as the Lydia B. Cannon Museum, was named for her. 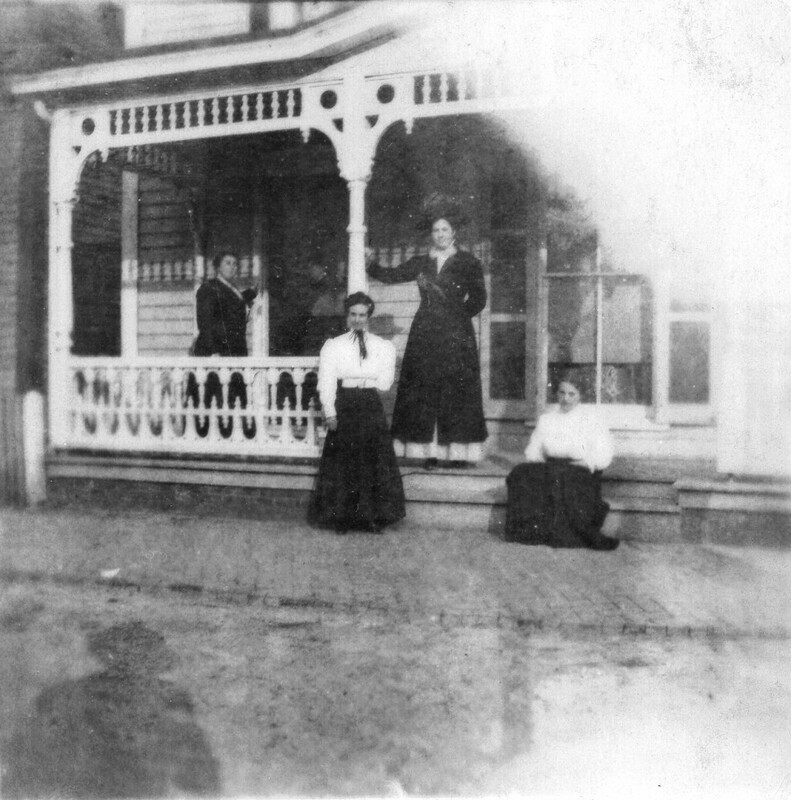 Photo of Lydia Ann Black in front of family home, seated at right. Note the photographer’s shadow in the left foreground. Lydia Ann Black was the daughter of John R. Black (1853 – 1914), a carpenter who became postmaster of Milton around 1901, and Marianna Lank (1853 – 1929). 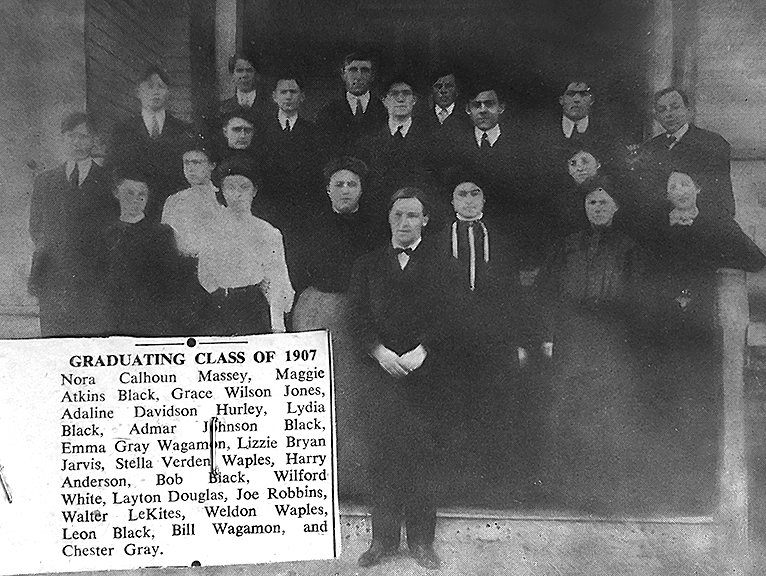 Lydia graduated from Milton High School in 1907. She is the niece of Hannah Black Lacey, wife of Capt. Charles Franklin Lacey, both of whom have their stories told in Fredonia Wilson and Her Circle. From the Milton News letter we have some idea of what she was doing immediately after graduation: she was elected to office in the Epworth League in 1908; attended Dover Summer School, probably to begin some training as a teacher; and was appointed 2nd assistant to the principal of the Milton Public School, Prof. Horace Hastings, which was essentially a teaching position, in July 1908. That was title was modified to 3rd assistant in October of that year, when the schools reopened, or may have been incorrectly reported in July. The 1910 U. S. Census shows that she was still living with her parents in Milton, and listed her occupation as public school teacher. 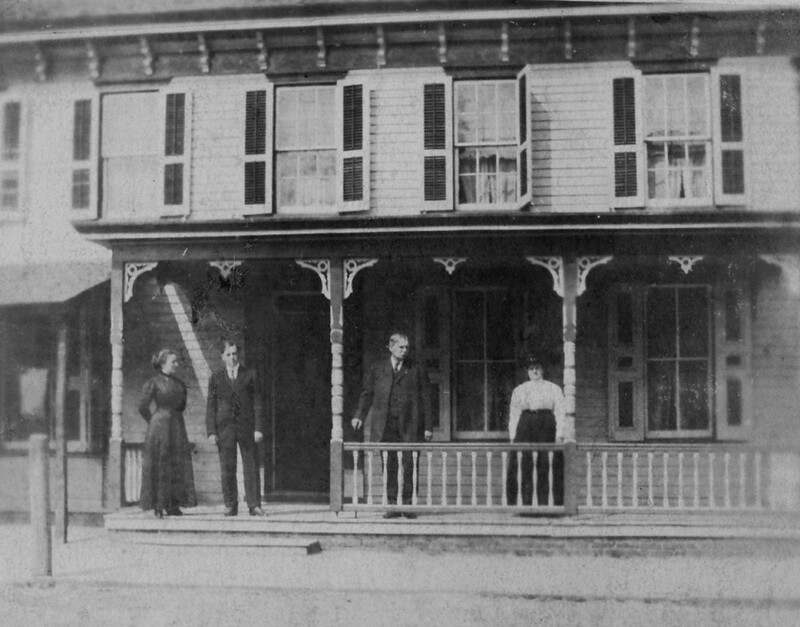 However, the April 1, 1910 Milton News letter relates that she was teaching in public school in Newark, and had returned to Milton to spend time with her parents during Easter. Sometime after 1910, she embarked upon a career in nursing; she trained in Philadelphia, at the Jefferson School of Nursing, graduating in 1916. 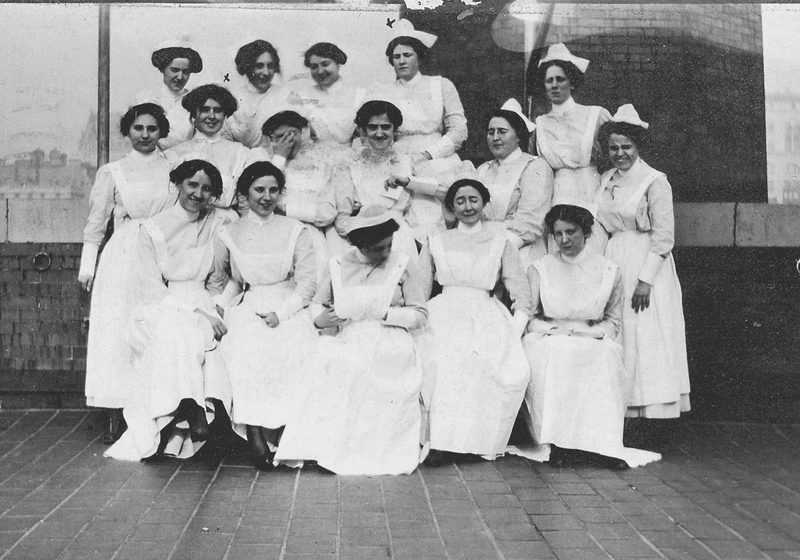 Lydia Ann Black and fellow student nurses, 1913; she is standing in the second row, fifth from left. A photo card sent to her mother postmarked May 7, 1913 shows her with a group of fellow nurses on the 8th floor terrace of the hospital at which she was employed in Philadelphia; this was probably in her student nursing period. Per the 1920 U. S. Census, she was head nurse at Bryn Mawr Hospital, Lower Merion Township, Pa. In the 1921 yearbook of the Hospital of the Woman’s Medical College of Pennsylvania School of Nursing, she appears to have a leadership role in training nurses and is lauded for it by the students. She was the superintendent and director of nursing education at Milford Memorial Hospital from 1940-42, and was the director of nursing education at Roxborough, Pa., Hospital until her retirement in 1953. We know just a few details of her personal life other than her professional activities and her marriage to William W. Cannon (1876 – 1944) in December of 1935. Apparently a certificate was never recorded or was lost, so a new one was issued in 1941. 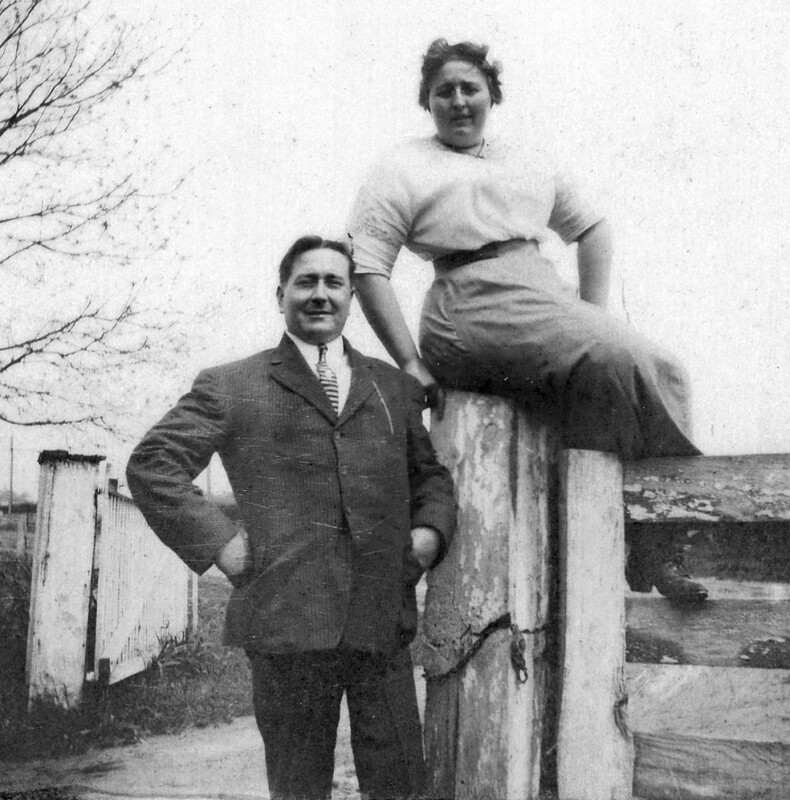 By 1940 U. S. Census, Lydia and William were not living together; she had a superintendent position in nursing education at Milford Hospital and apparently lived closer to where she worked, while he remained on the family farm in New Castle. A divorce decree was granted in November of 1941. William died of injuries he sustained when his car was hit by an express train at the Harmony Road crossing near Newark. He was thrown from the car and the car rolled over several times, totally demolished. He is listed as divorced on his death certificate. When Lydia’s name appears in Delaware and Maryland newspapers upon her death in 1973, no mention is made of a divorce.